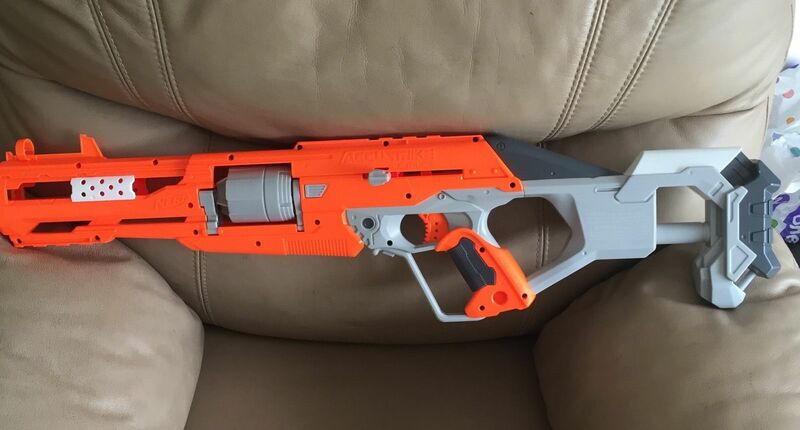 Winston Wong from the Singapore Nerf Group has found four images of a new Nerf blaster called the Alphahawk, which seems to be under a new series branded as “Accustrike.” My first impression of the Alphahawk is that it appears to be a heavily re-shelled, bolt-action Strongarm (assuming it features a six-dart cylinder). By the sound of Accustrike, it gives the idea that the new Nerf blaster series will feature more accurate blasting. However, it’s most likely the Accustrike darts are what makes the blaster accurate rather than the actual internals of the blaster. 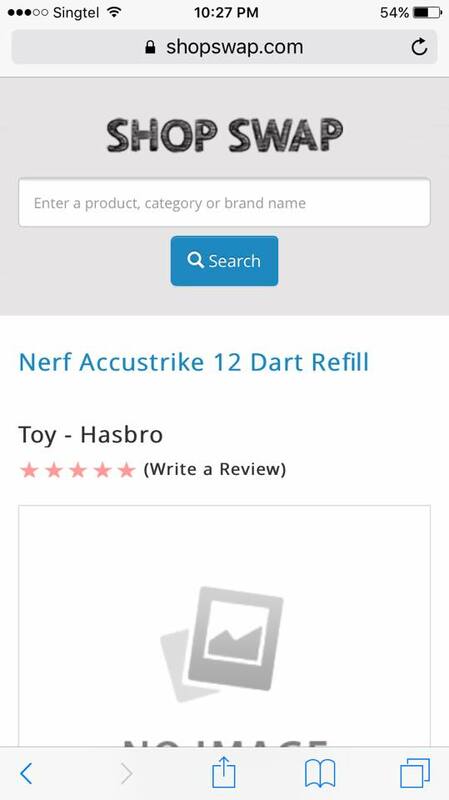 It has been confirmed that there will be Accustrike-specific darts since Gavin Lim Kang Jie found a listing for a Nerf Accustrike 12 Dart Refill pack on Shopswap.com (I have been unable to find this item myself). As we can see from the pictures, there is a lot of unnecessary plastic surrounding the blaster, and not much detailing. Many people like the appearance of the Alphahawk, but it doesn’t personally strike my fancy. I must admit, however, the stock looks quite sturdy and comfortable. The blaster also features two tactical rails — one is located underneath the barrel and the other is on the top of the blaster with a sight point next to it. The image below shows that the Alphahawk is quite thin. It also shows that it is an ambidextrous blaster. The Alpahawk should function like a Strongarm, except it is primed by the side, like a Longshot. As I mentioned above, I’m not too fond of this blaster but I’m hoping that the new ‘Accustrike’ darts will be designed to fly more accurately. That’s all the Nerf News for today! UPDATE, 10/4: Following are two more pictures that have surfaced on Ebay from a seller in Australia. No other information was provided, though it’s one more indication this is a legitimate product that is currently in production. More info as it becomes available. 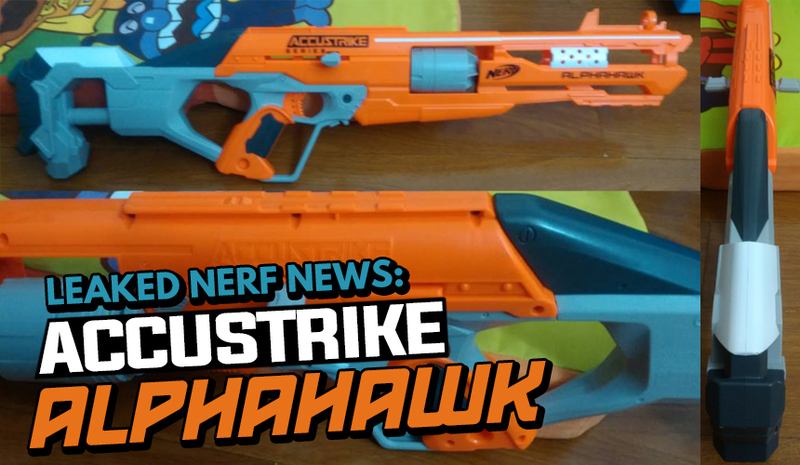 This entry was posted in News/Updates and tagged accustrike, alphahawk, blaster, nerf, new, news on September 19, 2016 by JJ Reviews.